When you switch to the new WSCAD SUITE 2017, you will almost certainly want to make use of your existing projects and data with the new version. You can import projects, part data and symbol libraries, as well as configuration settings, from previous WSCAD SUITE 201x versions to the new WSCAD SUITE 2017. You also can import projects and part data from WSCAD 5.x versions. Install WSCAD SUITE 2017 parallel to the previous WSCAD SUITE 201x Version, e.g. to C:\WSCAD\WSCAD SUITE\2017 . Make sure that you do not install the new version in the existing installation directory of the previous version, since important projects and data will be overwritten as a result. Import the projects of the previous version via the main menu Project | Import. 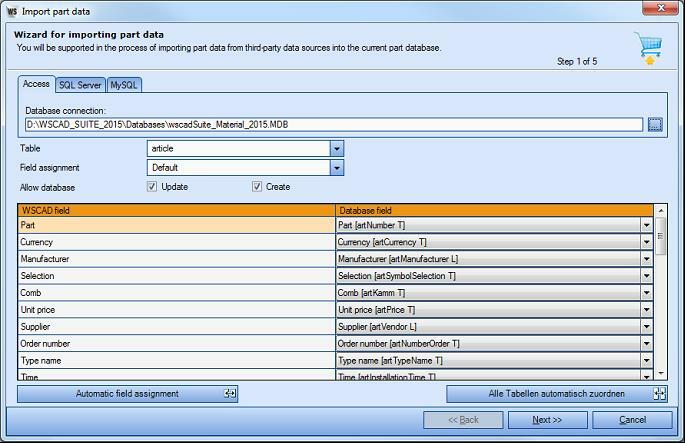 Import the part data of the previous version in the new part database via the main menu Tools | Master Data | Part Management | Tools | Database Import Suite. 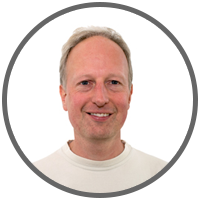 This ensures that also the new database fields of the new part database are available to you. 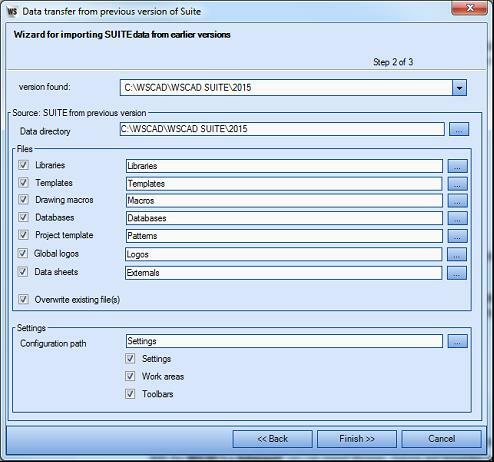 Import the other data (configuration settings, libraries, templates, macros, …) of the previous version via the main menu Tools | Data Import | Suite from previous version. The configuration settings can also be imported separately from the other data. In that case, you can even exclude individual settings from the import. Close and restart WSCAD SUITE 2017. If required, match the symbols and color codes via the main menus Tools | Master Data | Symbol Manager and Tools | Master Data | Color codes … | Import, respectively. You can import an existing project (file format *.wsPRJ) or a backup (file format *.wsPRA) from a previous WSCAD SUITE 201x version into the WSCAD SUITE 2017 Project Management. After a successful import, the project is opened. It is also possible to import multiple projects simultaneously. You can import the file formats *.MDB (Access), *.CSV (Excel) and *.wsIMA (ElectroCAD). 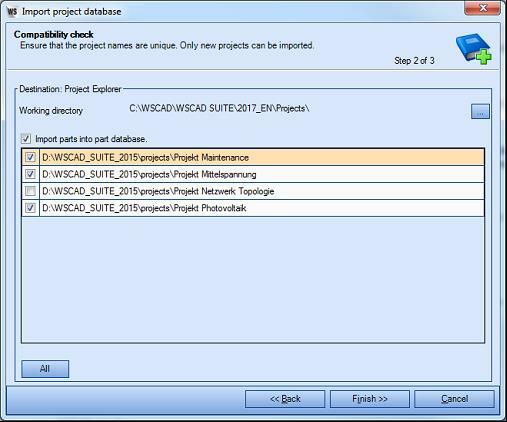 For the WSCAD SUITE 201x and WSCAD 5.x databases, you can optionally assign the database fields to the WSCAD SUITE 2017 database fields manually or automatically. For this, all projects must be closed. Projects and part data are not transferred with this data import. You can add an ELEKTROCAD 9 library (*.wsIML) to the current WSCAD SUITE libraries. 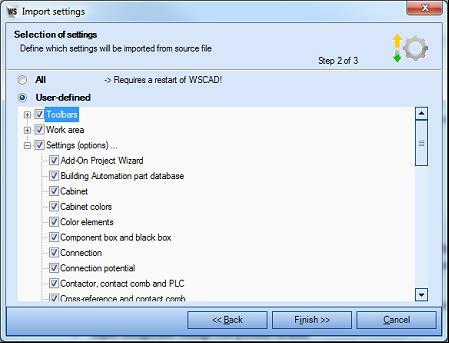 You can import the configuration settings from previous WSCAD versions (file format *.wsCFA). To do this, you will need to first export the configuration settings in the previous WSCAD version. Note that if you have a project open, the project-specific settings will also be exported. If you want to export only the user-specific and program-specific settings, no project should be open.